They read my mind! Like an explorer searching for the Northwest Passage, I’ve been looking for a truly delish heat and eat soup. So when I discovered the new Manischewitz ready-to-serve broths, I felt like someone had heard my prayers! Curious Jamie wanted to know how a mass-produced broth could actually taste like it came right out of that old red-rimmed porcelain pot in Grandma’s kitchen. So I called up Manischewitz and asked. Below is my enlightening discussion with David Yale, President and CEO of The Manischewitz Company. soups take long to develop? A: It was a two-year process. We knew what kind of taste we were after, but it took a while to perfect it. Once we had created a sample, we considered top quality in our own kitchen, we took it to outside testing companies to try out on consumers. Q: Ok, I won’t mince words any more. How did you get my grandmother’s chicken soup recipe? A: It’s not your grandmother’s recipe. A: She wouldn’t give it to us, Jamie. 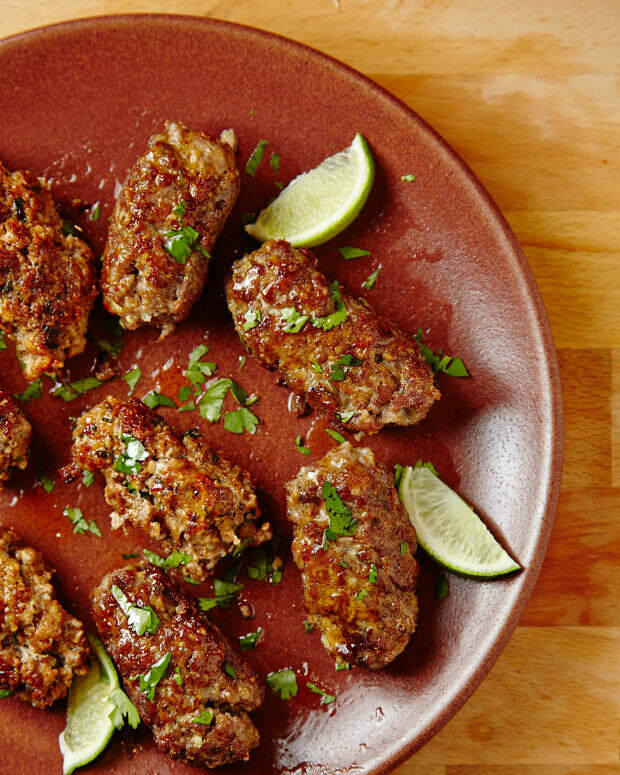 Listen, we all have warm recollections of our grandma’s best cooking. batches, not like large companies that produce in a high-speed facility. Q: Ah, small batches. That’s the secret. 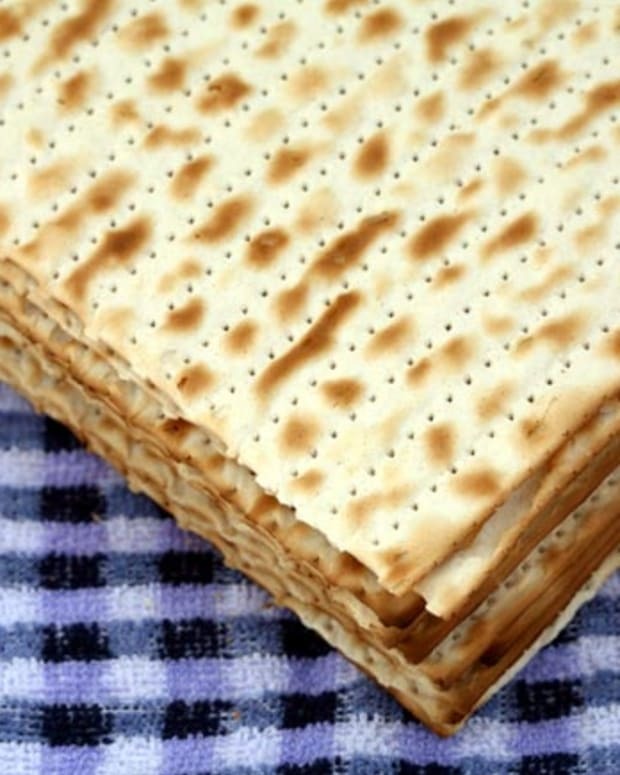 (without knowing what brand it is), they overwhelmingly chose Manischewitz over the other leading national brands. Q: So here’s my little secret: I use soup stock as a starter in most of the dishes I cook, except for desserts. And I really want it to taste like my grandmother’s did—only I don’t have the time to dice and slice and simmer all day. My recipe for homemade soup takes at least three hours. A: So now you don’t have to start from scratch. 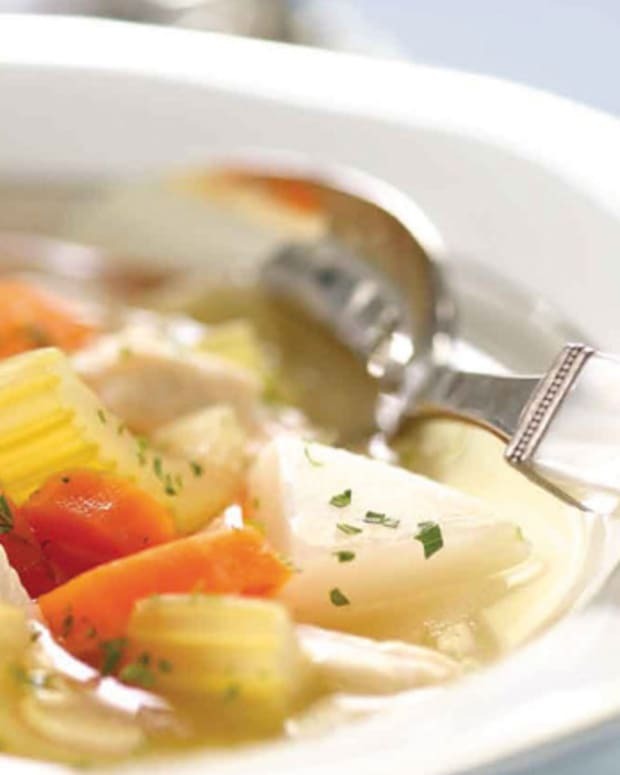 You can just pop the top of a Manischewitz broth and use it to create your favorite dishes. Q: Totally. I actually buy Manischewitz broth by the case. Having it on hand helps me get a quick jump on soups, stews, and lots of other dishes. It’s an ingredient in nearly 50 recipes in this book. I love having a pareve option too—your vegetable broth. I’m always finding new ways to use a soup as more than, well, soup. A: A lot of people use them to add oomph to all sorts of dishes that you might not expect—pasta, potatoes, stuffing, veggies—and, of course, gravies and sauces. Try using a broth instead of water when you cook rice. It gives it so much flavor. Q: I do that! And I may never go back to plain water again. Beside the convenience, I have another reason for preferring the new Manischewitz broths: My family’s health. A: That’s an aspect of cooking that has taken center stage in recent years, and I’m glad to tell you that we’ve kept up with the times. Today, many people insist on foods that are free of artificial flavors, colors, or preservatives. That’s why our broths are made from all natural ingredients and contain no MSG. We also have a low-sodium option for people watching their sodium intake. Q: Another aspect of health is freshness. 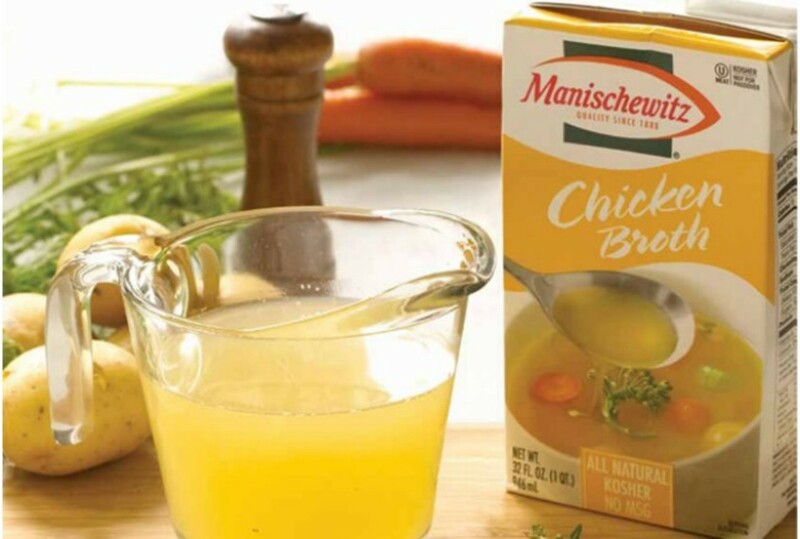 How long will Manischewitz broth stay fresh after it’s opened? A: Up to four days, in the refrigerator. But in most households it’s eaten up before that. Q: I know. I usually open multiple cartons at a time. 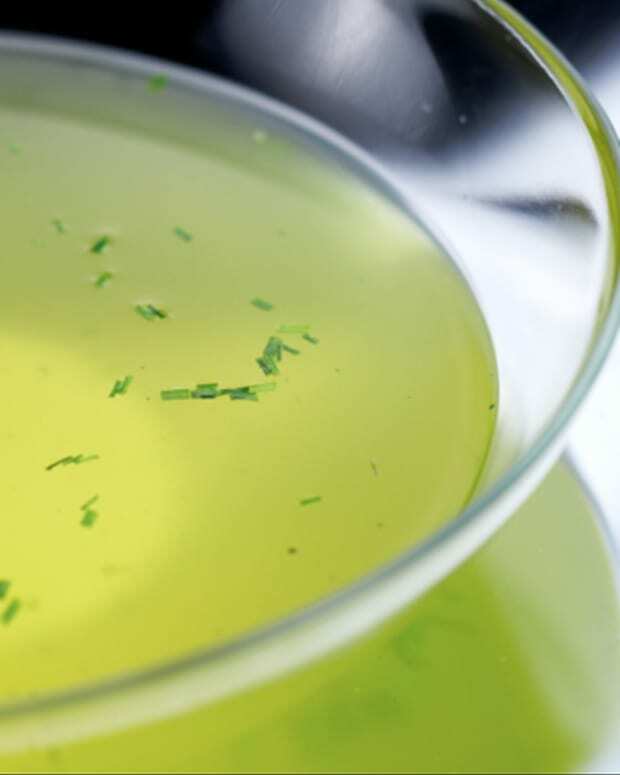 What else should a home cook know about using these broths? Is there anything that could possibly go wrong? A: They’re just about foolproof. 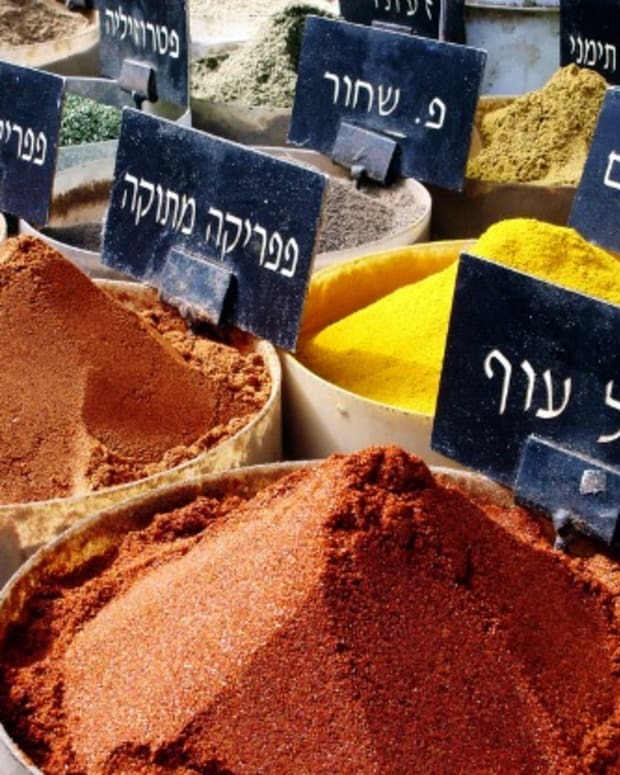 We’ve been creating kosher foods for over 120 years and we know that home cooks want wholesome taste and quality that’s easy to prepare. Our new ready-to-serve soups are simply the latest in our evolving chain of products that combine convenience with tradition. Q: Even my grandmother would approve.